Literary Nonfiction. Memoir. Allen Callaci is a librarian, rock and roll singer, and heart transplant recipient. 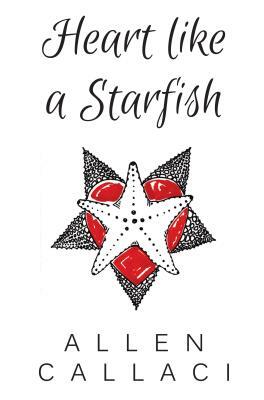 HEART LIKE A STARFISH is his account of that death-defying journey and the healing that follows for both himself and those around him. With illustrations by the author and beautiful cover art by Amy Maloof, this wonderfully chaotic tale is told in a non-linear style that manages to convey the frenetic events and emotions while still embracing the strength and care and security all around. A portion of the proceeds of the book will be donated to Cedars- Sinai Heart Research Institute where the procedure was performed.